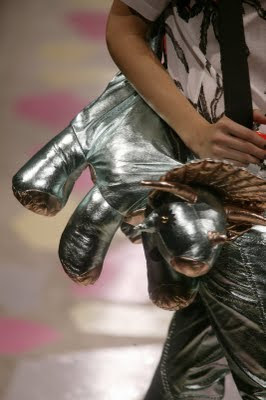 Giles Deacon stayed true to himself when he introduced a very bizarre element to his SS 10 RTW collection: dinosaur handbags. I find this super amusing! I'm thinking no-one in their right mind would buy one of these (apart from Lady Gaga of couse). 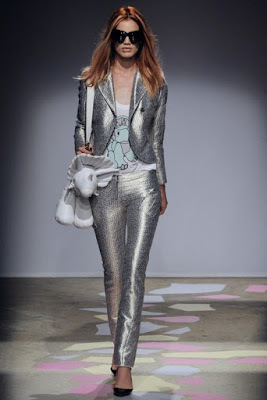 Little Dino made for great theatrics on the runway though.